They have already made the changes to the online rank insignia graphics and have a link to a new rank insignia poster. Doesn't surprise me that much as the Liberal govt. seems to be keen on undoing things that were done by the previous Conservative govt. Wouldn't surprise me to see them change all the officer pips to maple leaves (sometime in the future of course), but I could be wrong. After seeing an interview with the CDS General Vance on TV, I saw that the thick gold cuff lace was also returned to the uniform along with the maple leaf ranks on the epaulettes (the gorget patches are still worn with all this as stated above). So basically the general ranks return to their unification era insignia but with the edition of the pre-unification gorget patches. As I stated above, I wonder how long it will be before the other officer ranks will have to replace the bath star with maple leaves? If that were to happen, it would cost quite a bit to do (all slip on ranks, both regular and CADPAT, would have to be redone as well), so would require a raise in defence spending (which didn't happen in this year's budget) to cover the costs. This might be the only thing preventing it from happening (i.e. the cost). That was quick, they've changed the rank graphics on the CAF site to show the gold cuff rings for the general ranks (which wasn't there yesterday). So complete return to post-unification general ranks. I also read something about a "Vimy Star" coming out next year on the 100 anniversary of the Battle of Vimy Ridge. Sounds like this might be a "Canadianised" pip with a maple leaf in the middle, but that's just a guess. 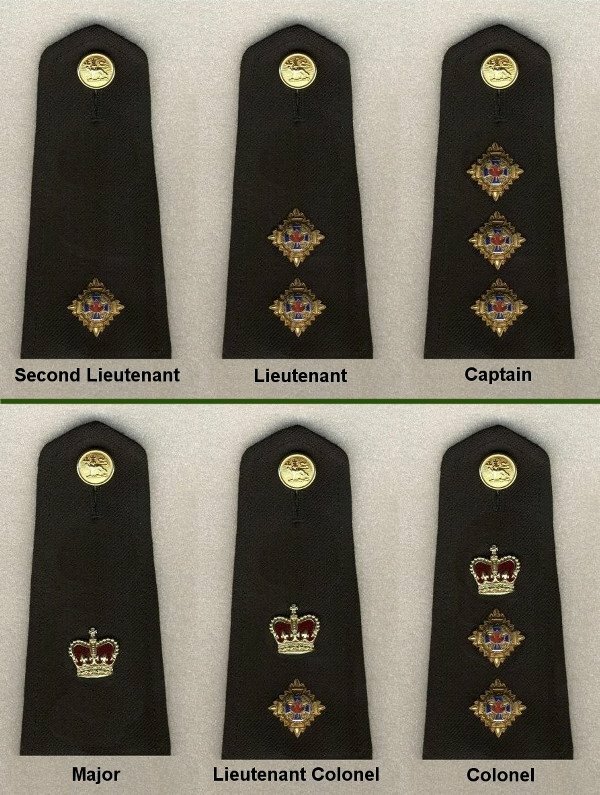 Would make sense, the maple leaf wold tie into the generals' ranks and they wouldn't have to redo the embroidered ranks for officers as there is no center detail on the embroidered pips (just a circle). I suppose we won't find out until next year. Torg003 wrote: That was quick, they've changed the rank graphics on the CAF site to show the gold cuff rings for the general ranks (which wasn't there yesterday). So complete return to post-unification general ranks. Hopefully that link works for you. There is a description of the star in the first post as well as a link to a PDF file on the second page. Also on the second page are pics from the interview with Gen. Vance, showing the new/old-style general pin-on rank insignia (as well as sleeve braid and collar gorgets). In case it doesn't work for you, the Vimy Star will look like a Star of the Order of the Bath, but with the motto, "Stand on Guard for Thee" in latin and the word, "Vimy", and a maple leaf in the center. Personally, I kind of like it. It's traditional and uniquely Canadian at the same time. Also the fact they don't have to spend more money on redoing any of the embroidered ranks is a good thing. Doing it as a part of the 100th Anniversary of the Battle of Vimy Ridge lets them tap into the money already set aside for the Canada 150 celebrations and commemorations (which the Vimy 100th Anniversary is a part of). seems like it will be nearly impossible to tell apart from a bath star from even a meter away so the exercise appears a bit pointless to me. marcpasquin wrote: seems like it will be nearly impossible to tell apart from a bath star from even a meter away so the exercise appears a bit pointless to me. The main reasoning seems to be (from what I've read) that they didn't want to spend a huge amount of money to do it, so they deliberately made it look similar to a Bath Star so that they wouldn't have to redo all the embroidered cloth slip-on ranks (regular and CADPAT), which had been redone less than two years ago. Also they are tying it into the Vimy 100th anniversary so that they can use some of the money that was already put aside for that event for the new stars (this is an assumption as there was no new money for the military in the recent budget, so this is the highest probability of where the money is coming from). Any comments on the original topic of the General's rank insignia? Anyone think the addition of the gold cuff ring as well as the collar gorgets are a bit overkill, or does it look okay? I prefer the gorgets to the gold crossed swords collar dogs that were used previously, they stand out much better. Not sure they really needed the large gold cuff ring to go along with them, but I guess that was add more symmetry with the other general/flag ranks. Personally I think that the Liberals will drop the gorgets in a couple of years, probably citing cost cutting as the main reason. A quick check and I do see that RN (and, back in the day, RCN) flag officers have both cuff rings and shoulder-board badges on ceremonial dress. This is all becoming a bit of a mess, isn't it...?! That said, it always struck me that, whatever the change back to Crowns and Stars for the other officer ranks, continuing to use the unification-pattern insignia for general officers was a sensible compromise and allowed for better consistency and recognition across all the branches of the Canadian Forces. It also solves the problem around the glaring inconsistency of the insignia for Brigadier-General with the Army rank being returned to the pre-1922 British version (sword and baton alone) whereas the RCAF version retained the Crown above and the single maple leaf. Returning to the use of broad gold cuff-bands seems like an unnecessary additional expense; it also adds a degree of inconsistency if it is used for all general ranks in the Army but the single broad stripe is essentially now specific to the one-star rank (Commodore, Brigadier-General) in the other services. Given that they intend to keep the general officer version of the scarlet gorget patches (which were not used on the unification-type uniform) then the further addition of the old-style gold cuff bands seems superfluous as the red collar patches are themselves an immediate marker of senior officers on Army DEU / service dress. To me, having seen the recent photos of Gen Vance, the gold cuff bands are also aesthetically too much, although I rather suspect that there might be some deliberate intent to match the broadly similar uniform embellishment used on the newer-type dark blue service dress uniforms for equivalent ranks of the US Army. It's been a while since I did one of these and I have been messing about with this since the Canadian Army began to update its officer insignia -- but with the most recent changes, no seemed a good time to update my own doodles too. This broadly mirrors the actual situation but also attempts to include a few of the conceptual things we have discussed in this and related threads. I've deliberately added the Maple-leaf pattern of gorgets for the Governor General that we discussed in Marc Pasquin's recent thread. I've also included some concepts for the Canadian versions of the British general officer and staff officer cap badges that were suggest a while back. If the current tri-service cap badge was to be replaced I thought I'd have a go at developing a specific cap badge for the GG, based upon the general officer badge but deliberately differentiated. This came about because I originally tried using the Crowned Lion crest on it's own (per the epaulette insignia) but it just looked too insignificant compared to the other badges. I guess the current GG cuff insignia would be retained but I remain unconvinced by the current re-addition of the gold cuff bands for general officers; I can see that there could be a case for adding *something* but the thick gold bands look a little out of place to me. I thought something like a general's version of the GG bands might be more appropriate. I thought maybe the use of alternating maple leaves and the crossed sword & baton symbol in place of the Crest and Leaves used for the GG version. - your badge for the G.G. looks an awful like the granted arms of the Hamilton Police Service (https://hamiltonpolice.on.ca/about/hps- ... -flag-logo). I used Rifle green for all ranks (and a generic regimental badge for the junior ranks) just to keep it simple...! To be honest, the GG cap badge is still rather clunky and needs a bit more work but I thought these had reached a stage where they were a passable first draft so I figured I'd share them. I was also playing with versions of the more formal service dress peaked caps with bullion decoration for the senior officers. I began with the GG but ended up doing the others anyway. I assumed rifle green for the crown/body and scarlet for the hatband and welt, with two rows of oak leaves for the GG and generals and one row for colonels, with bigger versions of the beret badges for all three. I wondered about using two rows of maple leaves for the GG to match the gorgets but haven't done that yet. I might play with some alternative ideas for general officer variants on the GG cuff bands to use instead of the gold lace and then put the whole lot together and see how it looks. Note the Canadian lieutenant-general on the right, wearing the 1968-style rank badge. (That's the President of the Poland in the centre.) This pic was taken yesterday at Camp Petawawa, near Ottawa; so it's current. Here is General Vance in a rare Canadian Generals peaked cap with red band. Interesting pic. Didn't realise the army used the peaked cap at all anymore. I wonder if it is only worn when visiting allies to look more general-like (the beret is the only thing army generals seem to wear here at home). From this pic you can see that the wide gold bands on the cuffs really aren't needed. Definitely overkill. maybe this mark a return to wearing it for formal occasion ? 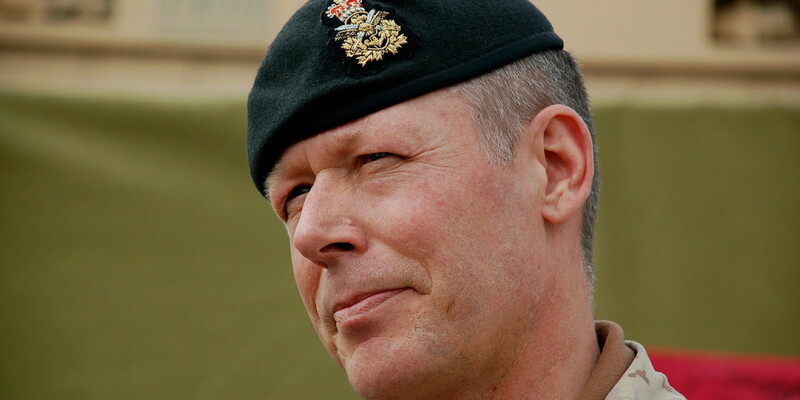 On a related note, I noticed that despite the return of many british style accouterments, canadian armed forces generals/flag officers all wears a joint command hat badge instead of their british army/RAF/RN equivalent. It very much follows British and Commonwealth practice and the red cap band works well with the red gorget patches. I guess they felt a need to retain the peaked forage cap for certain more formal occasions and, in that respect, it does seem appropriate and yet maintains a generally "Canadian" appearance. Funnily enough, I was working on some drawings of just this sort of thing for Governor General, General Officers and Colonels, based on some updated versions of the drawings I posted earlier. When I have a moment, I'll export them and upload them here. The single cap badge device for all General / Flag Officers is a hang-over from the days of unification, if I remember correctly. 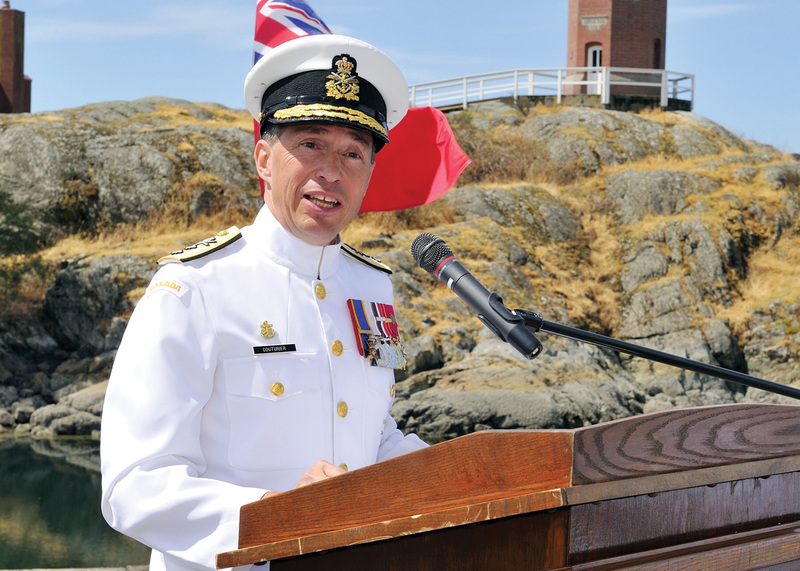 It's interesting that despite all the recent changes, and the rather "conscious uncoupling" (to coin a phrase...) of the three branches of the Canadian defence forces, this quirk of unification has not been altered and that we haven't yet seen separate senior officer cap badges for the Army, the RCN and the RCAF. Perhaps it's the one thing that no-one was bothered about changing! I also agree that in the presence of the scarlet and bullion gorget patches and the formal forage cap with scarlet band and bullion peak, the old-style gold cuff bands really do look rather superfluous for Army general officers. I still have a sneaking suspicion that it's an attempt to maintain parity with the markings on the equivalent general officer ASU of the US Army...! -- The first version uses the crossed-sabre-and-baton emblem of the general officers in place of the Crest from the Arms of Canada, as used by the GG. The band would still be black but would have scarlet and gold roped edging (as against all gold for the GG) and between each sabre-and-baton would be a small oak leaf and acorn motif, to echo the gorget patches. -- The second version just has continuous oak leaves and acorns (somewhat like the cuffs of the blue mess less for US Army generals), again on black with scarlet and gold roped edging. -- The third was the same but on scarlet to match the gorgets and without any edging. There are other obvious possibilities, such as using alternating sabre/baton and small oak leaves on plain scarlet. I also thought about how the GG version might be updated (a) to make it fit in a sequence with any new bands for Army generals and (b) to allow it to be translated without difficulty to the RCN and RCAF uniforms, although the other option would be to have specific RCN and RCAF versions of the insignia, to take account of the recent changes. For example, the RCN version could be on a gold band and the RCAF version on a pearl grey band. I'll post pics when I have finished them. Here's a link to pics of the recent Order of Military Merit investiture ceremony. You will notice that the pic of the Brigadier General shows him wearing the previous insignia (just a crossed sword and baton), instead of the current pin-on rank consisting of; crown, crossed sword & baton, and one maple leaf. Of course a BGen would be at the bottom of the list to get the new-old style, but how long does it take to do the change over? It's been close to 2 months and they are only changing the General officer ranks so you'd think that it wouldn't take this long. You'd also think that the powers that be would've given him the correct current insignia for the investiture. Even more confusing than that, I notice that he's also wearing the newly re-instated gold cuff-bands...! So is this an old uniform with the previous "new" insignia and the gorget patches added, or are the cuff bands new but the rank insignia haven't been updated...?! First link is for the National Defence and the Canadian Armed Forces [Army] page. The page shows the senior NCO appointments. Second link is for the pdf rank chart that doesn't show the senior NCO appointments. The Air Force and Navy insignia are also accessible from the Army page. Both links show Senior Appointments for me, but not sure how that relates. Medic - that was what I was getting at. The Bgen has the gorget and pin-on rank of the last change (2 years ago), so the cuff ring would've had to been recently put back on (as it would've had to been taken off when the gorget patches and British style pin-on ranks were re-introduced). You'd think that he would've been given a couple of pin-on crowns and pin-on maple leaf when he got the cuff rings put back on, especially since he was being made a Commander of the Order of Military Merit (highest rank in the order). It is kind of bizarre. I wonder how many generals are wearing this kind of mis-matched rank and how long it's going to take to get everyone changed over? It's called a "uniform" for a reason. I don't think we have that many generals that we couldn't buy enough pin-on maple leaf insignia (I couldn't see them not having any pin-on crowns as they are already being used by senior officers and should be in stock). She rose up through the combat engineers (as they've been called since unification); served in Afghanistan. Note the old-British-style brigadier-general badge. Yes, I saw that too. Was going to post about it but you beat me to it. It's obviously taking longer than I would expect to change over (back) to the new (old post-unification style)general rank insignia. They are certainly taking their time. Maybe the change will be complete by this time next year. ... and then the Army will change their minds again, right? Some mixed up generals' rank insignia from what must have been a very warm ceremony in central Toronto today. The first pic shows General Hainse (Commander, Canadian Army) close up. His badge of rank isn't embroidered as they use to be, but looks to be metal pin-ons. ...and I still think the gold cuff rings are unnecessary over-bling for this style of uniform. Perhaps it's time for Canada to restore the dark blue No1 Dress for general officers, with stand collar and gorget patches, overalls with broad scarlet stripes and the gold and crimson waist sash, with matching dark blue forage cap...?! I noticed the general uses in the left pocket of this tunic the badge of Grand Officer of the Brazilian Order of Military Merit. Good catch. His official bio doesn't mention it. Halfway decent pic of Canada's highest-ranked general wearing the brass version of the 1968 rank badge (what the Army is using, rather than embroidered like the other services, and like they used before they brought back the pre-1968 badges). Rather a lot of shiny metal, eh? Amazingly, the Army is going back to the 1968 rank badges for generals! I lost the thread of this thread; so I shouldn't've been "amazed" in my previous post. The rationalization offered at the link is interesting. It's sad, really, to insignianerds like us, that the back-and-forth within the Land and Air staffs wasn't more public as the Army and Air Force moved this way and that with their recent changes. It's inevitable a lot of expense that could arguably have been better used elsewhere. On the other hand, apparently it affects less than 60 individuals and the logic that senior leaders in all three branches of the Canadian armed services should wear the same basic pattern of insignia seems not unreasonable. In many ways, this was the obvious compromise solution that they should have used when they restored the stars and crowns for the officer ranks — and it would have entirely avoided the problem of Brigadier-Generals looking like half their rank insignia was missing under the "restored" system when compared to equivalent ranks in the RCN and the RCAF. The formal acknowledgement of the return to peaked forage caps for general officers (as seen further back in this thread) is the first time I've seen a specific reference to this an explains why Gen. Vance was wearing this form of headdress. Clearly, this hadn't reached everyone at the time some of the other photos were taken! Given that the peaked cap with scarlet hat band and bullion oak leaves is rather distinctive compared to the beret for all other ranks, it would seem to be another reason why the gold cuff band is superfluous! I assume the forage cap is for formal dress only and the beret will remain standard headwear for all other forms of dress...? Before all the new details about the peaked forage caps appeared, I was already thinking along those lines, albeit just for ceremonial or formal occasions. I've included peaked caps for all officer ramnks but, in practice, my intention was really only to include substantive Colonel and above. The caps for field-grade and company-grade officers would be included in any regulations only for completeness, in the expectation that they would not normally be issued or worn except, perhaps, on formal occasions by officers appointed to, for example, certain ADC roles...? I've slightly amended the Governor General insignia and the gorget patches deliberately include five maple leaves. This makes them (a) different from the standard general officer gorgets and (b) is, perhaps, a subtle suggestion of the GG's role as Commander-in-Chief, rather than putting five maple leaves on the shoulder straps. The cuff band for general officers is probably still unnecesary in my view but, if they insist on including it then I figured that something different to the 2" gold would be more appropriate as a generic uniform embellishment for all general officer grades, especially now that the 2" braid in the RCN and RCAF is specific to the ranks of Commodore / Brig. General.